Membrane computing is a branch of natural computing aiming to abstract computing models from the structure and functioning of the living cell, and from the way cells cooperate in tissues, organs, or other populations of cells. This research area developed very fast, both at the theoretical level and in what concerns the applications. 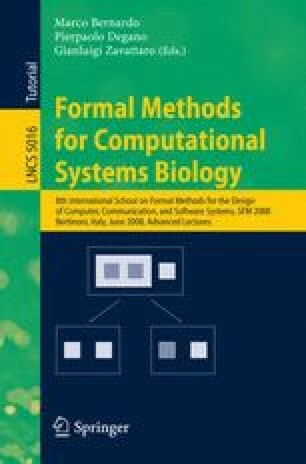 After a very short description of the domain, we mention here the main areas where membrane computing was used as a framework for devising models (biology and bio-medicine, linguistics, economics, computer science, etc. ), then we discuss in a certain detail the possibility of using membrane computing as a high level computational modeling framework for addressing structural and dynamical aspects of cellular systems. We close with a comprehensive bibliography of membrane computing applications.